The following is a guide describing how to transport goods for sale in EVE Online, in a profitable way. This content is derived from a syllabus for a class that I teach at EVE University. I wrote the original syllabus in 2010, and it has been improved considerably since then, thanks to revisions by numerous others - especially by my fellow teachers and professors at E-UNI. My heartfelt thanks to them. You can also find audio recordings of classes that I delivered using this guide here. This guide was last updated on August 9, 2015. Transporting goods from one location to another is one of the things that makes the economy of EVE Online work. Players can train characters to perform this important task - those characters who are dedicated to this function are typically called "haulers". Speculator haulers - These are people who make their own trade runs. They are entrepreneurs that profit from the differences in selling and buying prices in different locations. They use their ISK (InterStellar Kredits - the currency in EVE Online) to buy low, transport purchased goods, and then sell high to earn profits on the margins. Hired haulers - These are people who arrange trade runs with other players. For example, they can help to improve the effectiveness of mining operations by providing transport of ores to stations for refining, or who by moving refined minerals to other stations for sale. Alternatively, haulers can also accept courier contracts offered by players on the market. Hired haulers either get paid on a percentage of the operation haul, or on a flat fee basis for contracts. Courier Mission Runners - Not to be confused with courier contract runners, these are people who receive trade runs as missions from non-player characters in the game. Many NPC agents specialize in courier missions - paying for the transport of items to a particular location. Courier missions pay rewards in ISK and Loyalty Points which can be used to acquire valuable faction items. Getting into hauling is relatively simple. All you need is a character with a fairly low level of ship command and trade skills, and a ship with sufficient cargo capacity - most commonly, industrial craft. Hauling may sound like an easy way to make an income in EVE - and in fact you can earn millions of ISK per hour of effort, if you do it correctly. This guide will show how you can haul effectively and profitably, and how to avoid many of the common mistakes that many new haulers can make. You can keep the hauler character out of your corporation, allowing you to conduct hauling activities safely during wartime, if your corp is wardec'ed. You can focus your alt's training on hauling-related skills, allowing them to develop a high degree of competence quickly. Even if your hauling alt is in the same account as your main character, you can train the required skills in less than a month by using one PLEX and taking advantage of the dual character training option. To set up a hauler alt in your main account, restart your EVE client, and then click on one of the blank boxes next to your main character portrait. You are allowed up to three characters in your main account. To set up a hauler alt in a separate account, you can either register a whole new account with CCP on the main EVE website, or you can create an alternate character in your main account, and then pay a small fee (US$20) to transfer your alt into a new account, if you wish. A note about tanking your industrial: in truth, if someone decides to suicide gank you in high security space, there is probably very little you can do about it in your Tech I industrial ship. All that your tank will do is slow down or discourage a casual attacker. If a suicide ganker scans down your ship, and decides that your valuable cargo should be theirs, they will almost certainly kill you, and there is virtually nothing you can do about it. Don't expect CONCORD to save you! As you develop your hauler alt, you may want to invest in additional social and trade skills, so that you can speak to more agents and increase the number of orders, at lower costs. But the skills listed above are all you need to get started and to be a functional hauler. High slots: Weapons are useless on an industrial. You may want to fit a tractor beam and salvager to help clean up wrecks or collect jetcans on mining operations, though that means training Survey III and Salvaging I skills. Rigs: Cargohold Optimization rigs - buy only the Tech I variety, as Tech II versions are expensive and not required for success. Required: About 600K-1.5 million ISK to purchase a suitable industrial ship. Note: you will get a free starter industrial ship if you complete the Industry introductory career track - To find this, press F12, select "Career Agents", then "Industry". Required but not urgent: About 1.5 million ISK for essential skillbooks - though these can be purchased as you need them over time. In short, you can start a successful hauler alt character with about 10-20 million ISK in capital. It is possible to start with less than this if you only intend to use your alt as a mining operation hauler or for NPC courier missions initially. But to maximize your ISK-earning potential, you should begin suitably funded to pursue the hauling activities that interest you most. The hauler's most valuable resource for finding profitable trade routes is the EVE-Central Market Aggregator site: http://eve-central.com/home/. EVE-Central is a continuously updated database of buying and selling prices in New Eden, which uses the EVE Online CREST API. Suicide gankers in high-sec and pirates in low-sec love to attack and destroy haulers, if they believe that they can make quick riches by acquiring your cargo. There are some practical things that you can do as a hauler, however, to minimize these dangers. Note: insurance is not paid on CONCORDed ships. This does not make you immune to ganking, however. If you are hauling cargo worth billions of ISK, you are definitely a prime ganking target. And remember, some people gank just for fun - even if you are carrying nothing. Cargo bays on Blockade Runners, however, are un-scannable. This sounds like good news, except that it now makes all blockade runners a tempting target for gankers willing to try their luck. This means that when you fly a Blockade Runner, you should fit and activate a covert ops cloak whenever possible, even if your cargo hold is empty. Cloaks and fast-fitted ships make you more difficult to be intercepted, and traveling in systems with lower security ratings reduces the chances of being scanned, but only in null security space (0.0) can you transport illegal goods without fear of customs agents. Kryos, mineral bay, useful for taking refined minerals from station to market, or from market for manufacturing. Miasmos, ore bay, fantastic for supporting mining crews. Training the Minmatar Industrial skill unlocks the Hoarder, which has a large dedicated bay for hauling ammunition and charges. Covert Ops Frigates: don't forget the usefulness of these small, fast, cloaked ships for transporting tiny but high-value cargo, such as blueprint originals. Interceptors: also very useful for hauling small, valuable items, because of their very fast align times and warp speeds, as well as warp bubble immunity in null security space, making them very difficult to catch. Deep Space Transport: extra-tanked industrials, with large capacity fleet cargo bays - nice for hauling moderately valuable cargo - built-in +2 warp core stability. Bowhead: a specialized freighter designed to carry fitted ships, it includes a very large ship maintenance bay (over 1.3 million+ cubic meters, depending on Ore Freighter skill level). 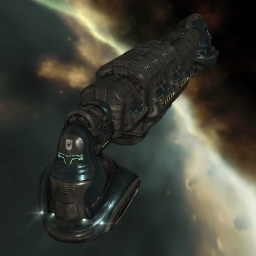 Developing a hauling character is supremely useful in EVE Online. By having one, you can transport the goods you need more safely, and it can give you a mundane but reliable alternative income stream. You can't go wrong making the investment in a hauler alt - so do so today! Posted in Guide and tagged with Hauling, Eve Online. February 2, 2014 by Neville Smit.